concrete admixture for green concrete. ET-PC polycarboxylate superplasticizer can be used in high strength concrete, high performance concrete, mass concrete and high quality flow plastic concrete. 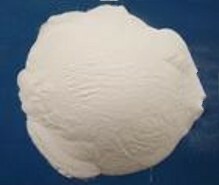 ET-PC polycarboxylate superplasticizer is especially for concrete with 28d compressive strength not more than 100MPa. (1) A kind of anionic / non-ionic liquid admixture, low-chloride, low-alkali, non-toxic, free effect on ecological environment. (2) ET-PC polycarboxylate superplasticizer has excellent water-reducing ability. can greatly reduce slump loss. (3) ET-PC can significantly reduce 25% ~40% mixing water in concrete. (4) High strength enhancing ability. Better performance when used together mineral admixture. (5) No bleeding, anti-segregation, easy to pump and transport. (6) Good appearance of hardened concrete, without water lines, big bubbles, and color difference. (7) High durability. ET-PC polycarboxylate superplasticizer can greatly improve compactness, freeze-thaw resistance, carbonation resistance, elastic modulus and impermeability; reduce drying shrinkage and creep of concrete. (8) A stable performance, non-precipitation. (9) Excellent compatibility with Portland cement. our company is the academician of china concrete admixtures Association , and uses safety and environmentally friendly production equipment,performing modern enterprise management mode, insisting in a management concept of establish business with honesty .We have passed ISO9000, ISO14000, OSHMS18000 management system certificate, standardization of production safety certificate and standardization of enterprisethe behavior confirmed, it is elected the industry's best corporate image units. For our company, with an annual output of naphthalene superplasticizer powder 120000 tons,and the sophisticated testing process and reliable QAS have been established.The capacity and technology level of corperation will take the lead in the world concrete admixture field. The second phase of naphthalene superplasticizer capacity will reach 300000 tons. Weifang Entachem Co., Ltd. would like to cooperate with partners of relevant trades and elites of all circles to build a win win situation,support each other ,and jointly lay the foundation for the development of business for a brighter future.